I think their marketing department might want to rethink this slogan. Perhaps “the best” or “highest quality” might serve them better. NO time to think about bearings … not when the altimeter registers ten thousand feet… not when a hundred trusting passengers are dozing in their seats behind. No time to wish that the bearings had been purchased upon performance rather than upon price… not when the twelve roaring motors on the wing will continue to roar only so long as the bearings stand up … nor when the twenty-four engine generators are running on them, and lighting dynamo, radio installation and fuel pump depend upon them. And so in the DO-X, Germany’s new giant one hundred passenger plane, as in practically every other well-known aircraft unit that was ever built, the bearings are SKF. 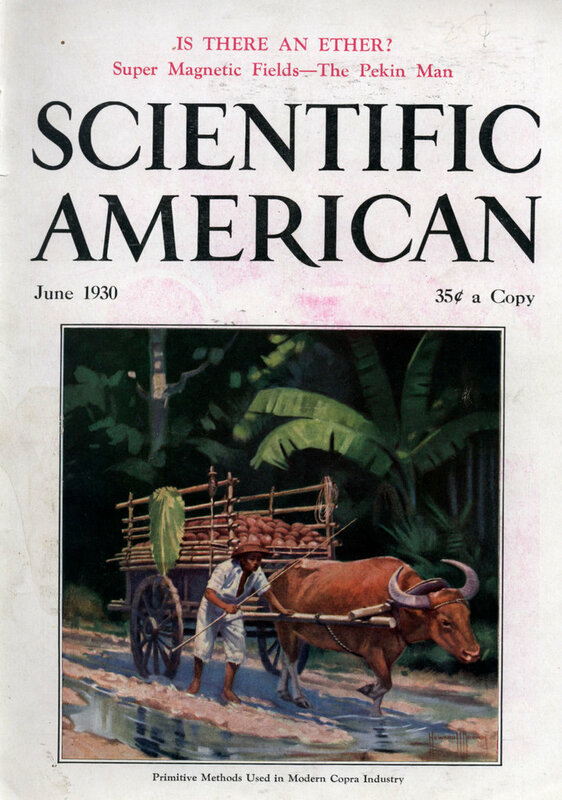 Sixty-five prominent American manufacturers of aircraft and equipment alone use SKF Anti-Friction Bearings. SKF Industries, Inc., 40 East 34th St., New York, N.Y.
Germany’s giant 100 passenger plane is powered with 12 SKF equipped Siemens Jupiter* engines. SKF Bearings take the propeller thrusts and are on the crankshafts, Farmantype reduction gears, magnetos, lighting dynamo, radio and Lenz pumpâ€”a total of 149. 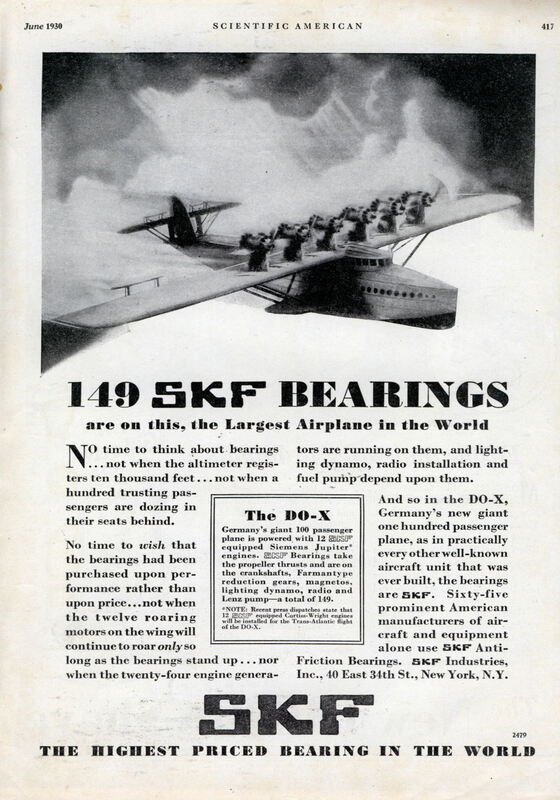 *NOTE: Recent press dispatches state that 12 SKF equipped Curtiss-Wright engines will he installed for the Trans-Atlantic flight of the DO-X.